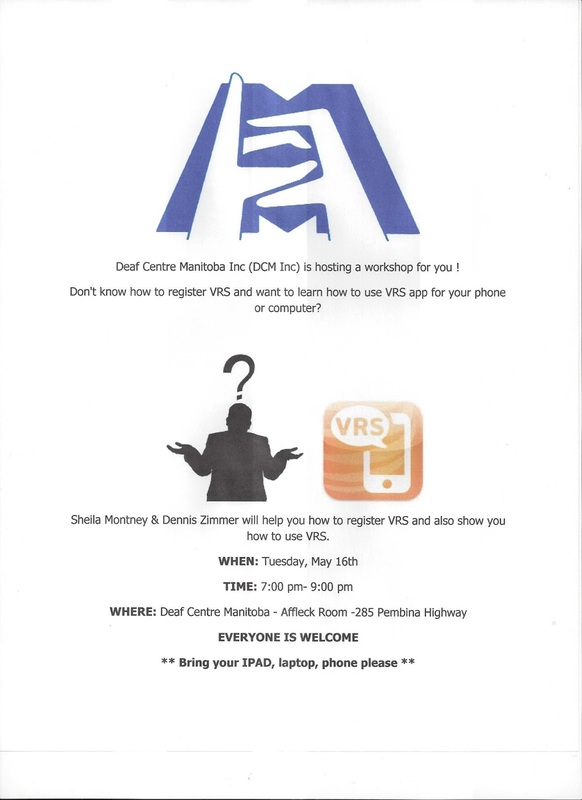 Deaf Centre Manitoba Inc.: Want to learn how to register VRS and how to use VRS app? Come over and learn- Tuesday, May 16th!! Want to learn how to register VRS and how to use VRS app? Come over and learn- Tuesday, May 16th! !